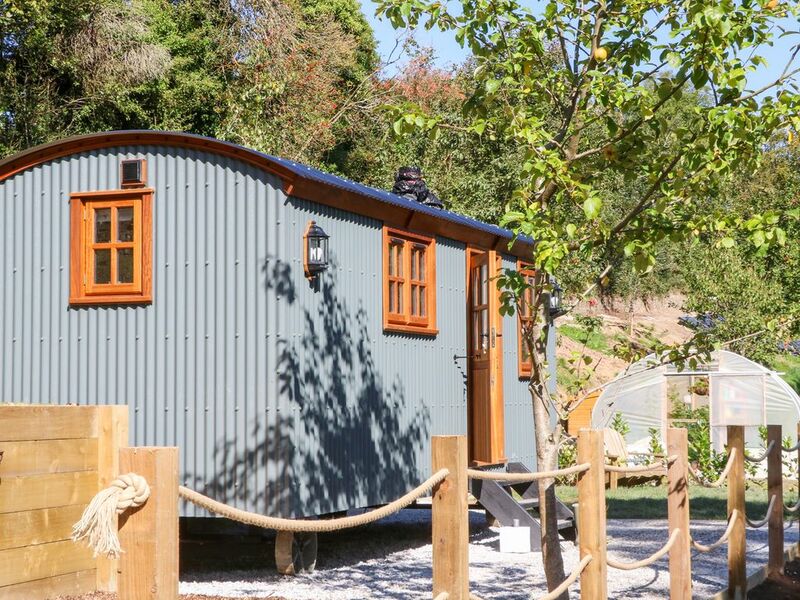 Little Silver Fox offers a beautifully presented shepherd's hut located on the outskirts of High Bickington in Devon. All on ground floor with three steps up into the property, this studio accommodation can sleep two people in one king-size double bed. There is also a shower room and an open-plan living area with kitchen, seating with foldaway dining table and woodburning stove. Outside is a private hot tub, firepit and garden furniture, as well as off-road parking with your own Golf Buggy for transport around the site. Little Silver Fox is a gorgeous retreat promising a much deserved break in a countryside location. Town: The North Devon village of High Bickington is set in the area known as 'Tarka country'. It offers a Post Office, two pubs, a holistic beauty salon and Libbaton golf course. Umberleigh is only five miles away and has a railway station where trains run on the Tarka Line to Barnstaple or Exeter. This area of North Devon has something for everyone including country walks, fishing and golf, as well as good access to a selection of beaches.